More and more network providers worldwide are upgrading their LTE networks to LTE Advanced or LTE-A Pro. So the end-users of the wireless devices are also demanding the higher-level LTE equipment. Huawei had supplied many LTE Cat.3 and Cat.4 routers to the network providers. And now the Huawei LTE advanced and LTE-A pro routers are becoming more and more popular. 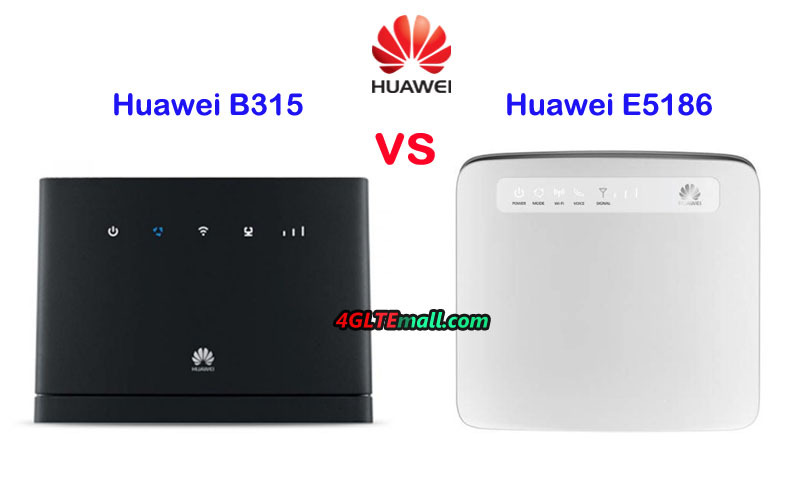 Huawei B315 and Huawei E5186 are two typical Huawei 4G wireless Routers; however, many people don’t know what the difference between the two LTE wireless routers is. Today, we will check what the difference between them is and which one is better. 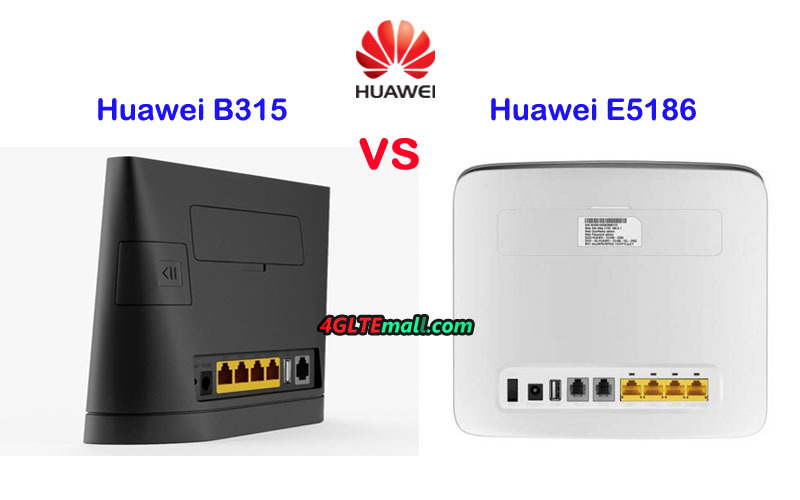 Huawei B315 and E5186 LTE CPE are both traditional stationary router. On the front, there are few LED indicators such as Power, mode, WiFi, signal and Voice (on E5186). On the back, there are 4 LAN ports (One for LAN/WAN), One USB2.0 port, and two connectors for an external antenna. 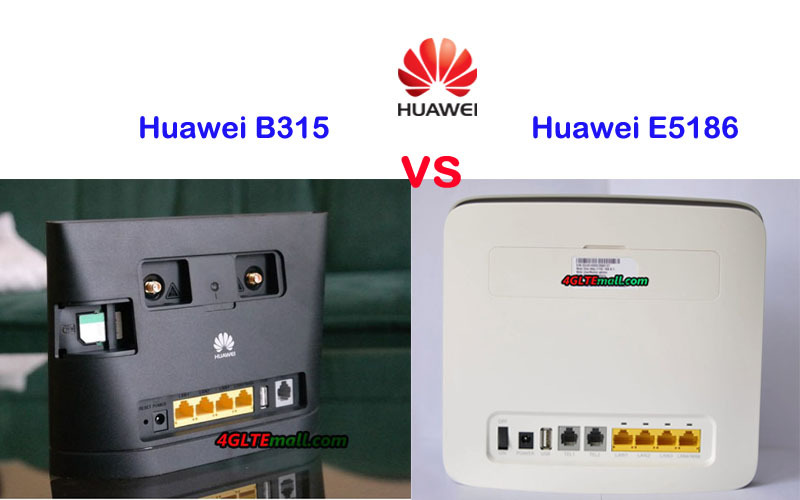 The Huawei B315s-22 has only one telephone port while Huawei E5186 modem has two telephone ports and has voice indicator on the front. The connectors in the two routers for the external antenna are SMA type. If you would buy Huawei B315 external antenna, you can refer to the 4G LTE Outdoor Antenna with two SMA connectors. 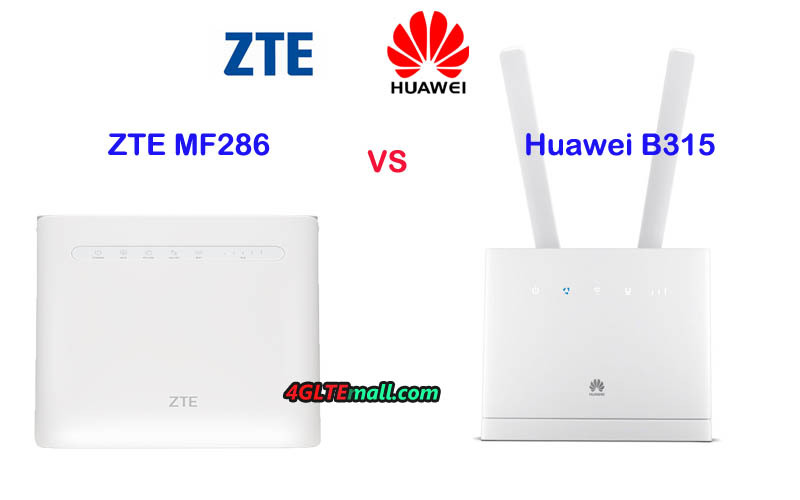 The antenna could also be used with Huawei E5186 LTE Router. 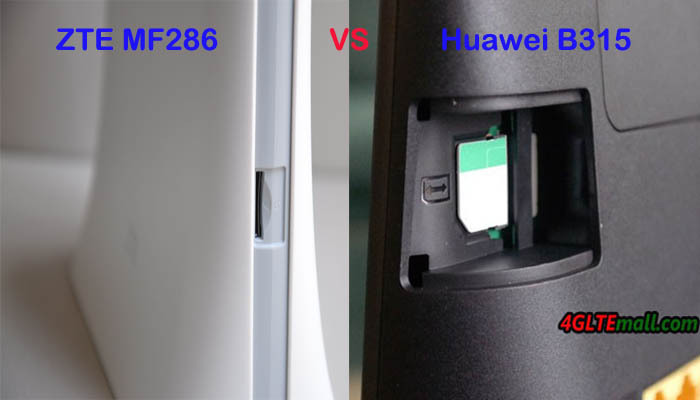 The Huawei E5186 WiFi router uses Micro SIM card, while Huawei B315 uses Standard SIM card. 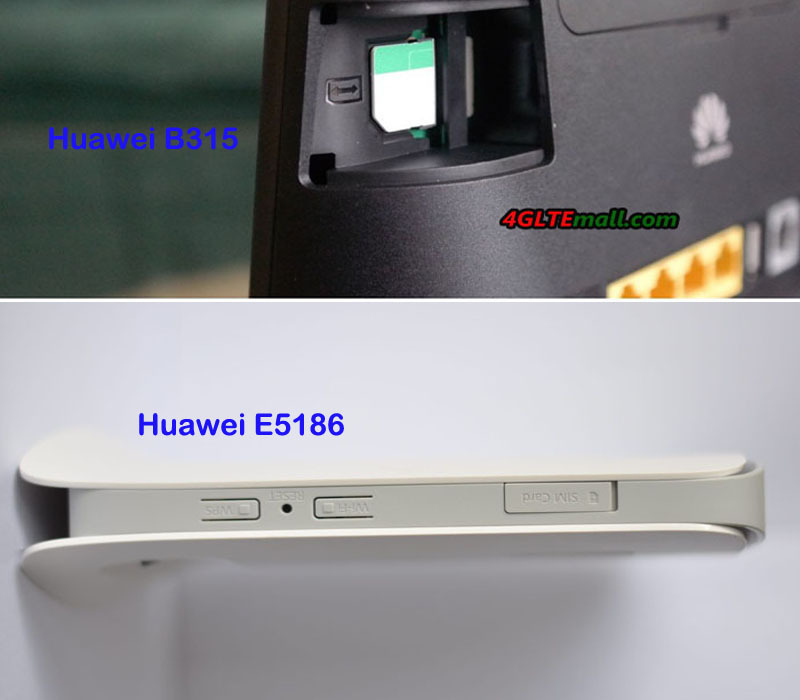 The SIM card slot of Huawei E5186 modem is located at the edge side while the B315 LTE CPE SIM slot is at the back. The label of the B315 router is at the bottom side while the Huawei E5186 router label is located between the two external antenna connectors. 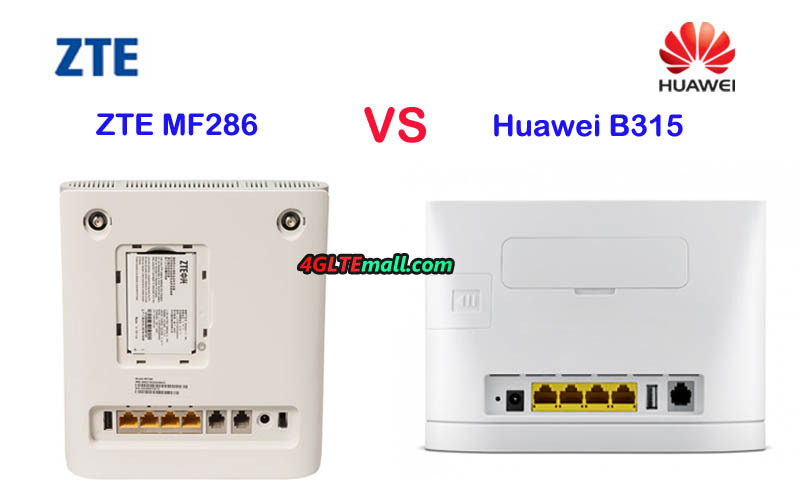 To meet the various LTE frequency bands from different network providers, the Huawei E5186 modem and B315 LTE CPE both have variant models. Huawei E5186 has two sub-models now: E5186s-22a and E5186s-61a. 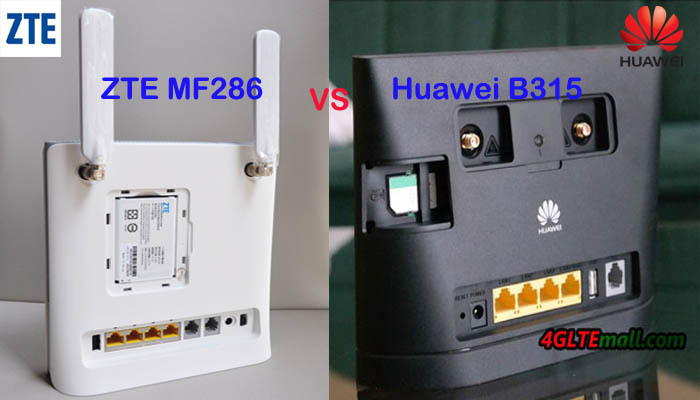 The Huawei B315 LTE CPE has more variant models: B315s-22, B315s-607, B315s-936, B315s-608 etc…The interfaces may vary on the variant models. From the appearance and interfaces, we can’t find which one is better. In the table below, the Huawei E5186 specs and Huawei B315s specs are listed, which are the key of the LTE features. 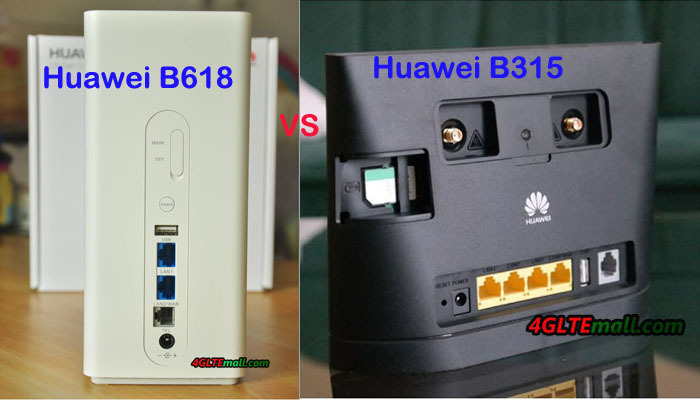 Huawei B315 has more variant models than Huawei E5186. And the sub-models cover more frequency bands and have more band combination than Huawei E5186 two variant models. However, as we can see in the table, the Huawei E5186 could support peak download speed up to 300mbps, which is almost the double speed than that of B315 LTE CPE. With carrier aggregation and LTE Cat.6 chipset, Huawei E5186 would support maximum up to 64 wireless users while Huawei B315 would support only 32 users. So the Huawei E5186 price would be higher than Huawei B315 price. Huawei E5186 is more advanced for LTE advanced networks. 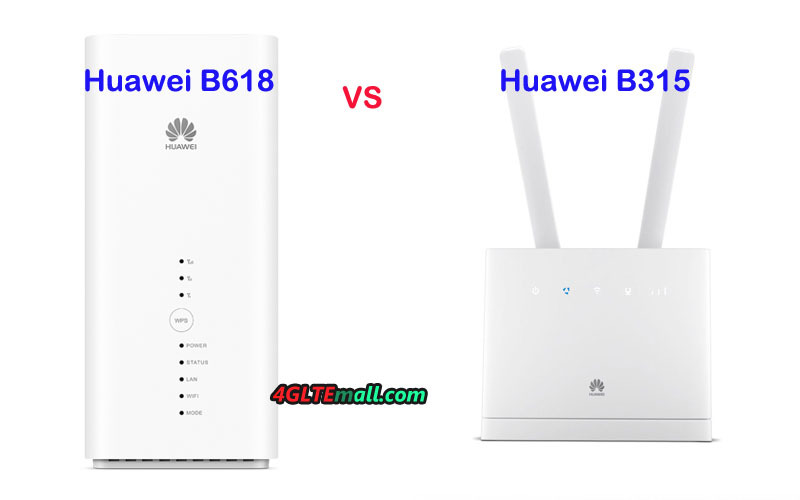 So if you want to buy a Huawei 4G Router with faster speed, Huawei E5186 would be the right one. 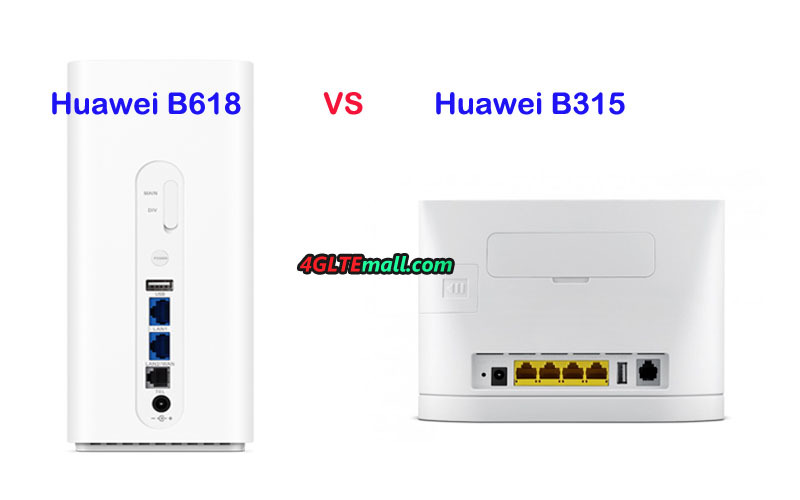 If you just need a router with decent speed and price is also concerned, Huawei B315 should be considered.